If you're on the lookout for a casual yet chic look, try pairing a RED Valentino jumper with black skinny jeans. Both items are totally comfy and will look fabulous paired together. You could perhaps get a little creative in the shoe department and spruce up your getup with hot pink suede pumps. 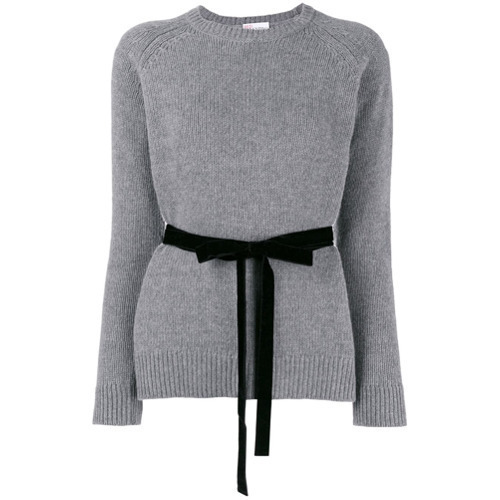 If you like the comfort look, pair a RED Valentino jumper from farfetch.com with black skinny jeans. If you're all about being comfortable when it comes to crafting an outfit, this combination of a RED Valentino jumper and black ripped skinny jeans is totally for you. To bring out a sassier side of you, round off your ensemble with red rain boots. If you don't like being too serious with your looks, try teaming a RED Valentino jumper from farfetch.com with a black mini skirt. When it comes to shoes, this getup pairs wonderfully with grey low top sneakers. This pairing of a RED Valentino jumper from farfetch.com and black skinny jeans is very easy to throw together and so comfortable to sport as well! 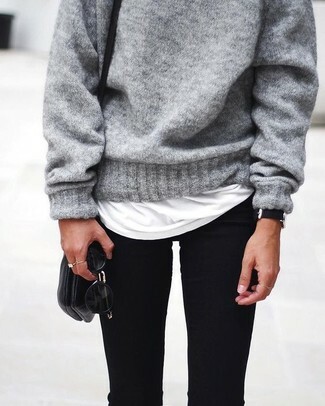 Go for a grey crew-neck sweater and black ripped skinny jeans, if you want to dress for comfort without looking like a slob. When it comes to footwear, this ensemble is finished off nicely with tobacco suede lace-up flat boots. If you're after a casual yet absolutely chic outfit, pair a RED Valentino jumper with a gold pleated midi skirt. Both garments are totally comfy and will look fabulous together. White low top sneakers will add a more relaxed feel to your getup. This combo of a RED Valentino jumper and white skinny jeans is incredibly stylish and yet it looks comfortable and ready for anything. 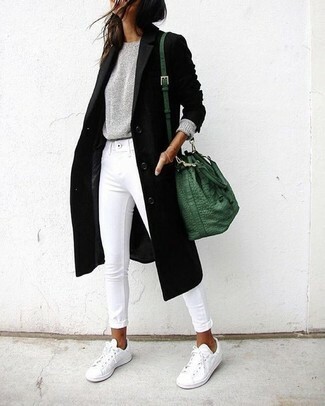 For something more on the daring side to finish off this getup, go for a pair of white low top sneakers. If you're on a mission for a casual yet stylish look, dress in a grey crew-neck sweater and grey skinny jeans. Both items are totally comfy and will look fabulous paired together. Amp up the cool of your outfit by rounding it off with grey suede pumps.